It is possible to contact La Magnolia Bed & Breakfast by phone, fax or CHECK AVAILABILITY. We suggest you to visit their linked website for special offers or rates for peculiar periods and how to secure your reservation. 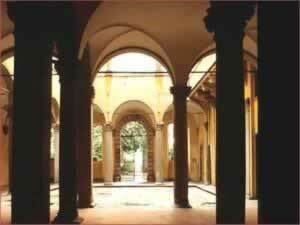 La Magnolia B&B welcomes you to the historical centre of Lucca in the garden of the sixteenth century Palazzo Bottini. Its particular location will provide you a nice and quiet accomodation and at the same time the possibility of taking part to city life. The owners' kindness will be available to satisfy and guide you to the discovery of the town and its culture. 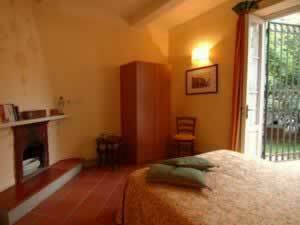 Our Bed & Breakfast has 5 rooms, double and single, which are part of the old Palazzo Bottini. 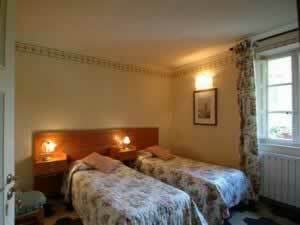 All rooms are equipped with private bathroom, TV, "snack corner", linen and independent heating. Bike rental are also available together with a small library for a nice exchange of books and culture. La Magnolia Bed and Breakfast is located in the very heart of the medieval town between the roman Anfitheatre and the Guinigi Tower, only a few steps from the main street of Via Fillungo. Also available a good shuttle bus service right behind the corner. Our B&B can be reached easily by car, motorcycle and bike and in a few minutes walk from the railway station. Once you get to Lucca take directions for centre. You will come to the ringroad surrounding the walls which have six gates to get inside. The two gates to reach our B&B are Porta S. Maria and Porta Elisa. Taxi or shuttle bus service available for the city centre in front of the railway station. Int.al Airport G. Galilei in Pisa. Travellers who viewed La Magnolia Bed and Breakfast also browsed.